Burbank, CA – The Samurai, classical warriors of Japan, dominated Japan's military, political and social culture for almost a thousand years. Ferocious fighting men, they have become known as much for their “spirituality” as for their lethal combative capabilities. Dr. David Hall, author of the 544-page The Encyclopedia of Japanese Martial Arts, will be featured as their Guest Lecturer at the Martial Arts History Museum on Saturday, October 24, to discuss the training methods used by the samurai and how these methods have evolved over hundreds of years. Dr. David Hall is a professor and Chair of Science at the Montgomery College in Maryland. He is an ordained Tendai Buddhist Priest. His religious training while living in Japan enabled him to complete his graduate research at U.C. Burkeley, earning a doctorate in Buddhist Studies with a related filed in Military history. The Encyclopedia of Japanese Martial Arts provides lineage charts, illustrations of martial accoutrements historical figures, rare documents and martial postures. It provides an in-depth insight into the arms, armor, philosophy, and fighting systems developed b the classical Japanese warrior. 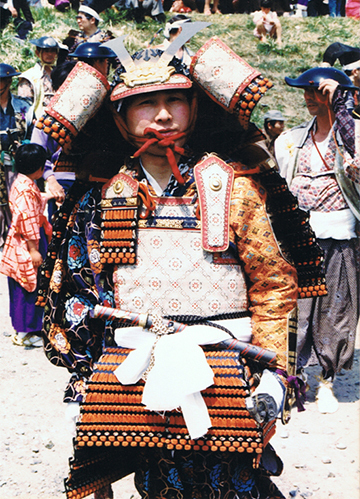 It sheds light on the historical and religious influences that shaped Japan's martial culture. “Dr. Hall has been gracious enough to bring a number of books that people can purchase and he can personally sign for them,” adds Matsuda. The samurai lecture will begin at 4 pm, ending at 6 pm and held at the museum. Cost of the event is only $10 and all questions are welcomed. Dr. Hall will also provide a physical demonstration of samurai methodology. For information about the event, visit Mamuseum.com. The Martial Arts History Museum is located at 2319 W. Magnolia Blvd., Burbank, CA 91506. (818) 478-1722. Tickets are purchased at the door. Seating is limited.